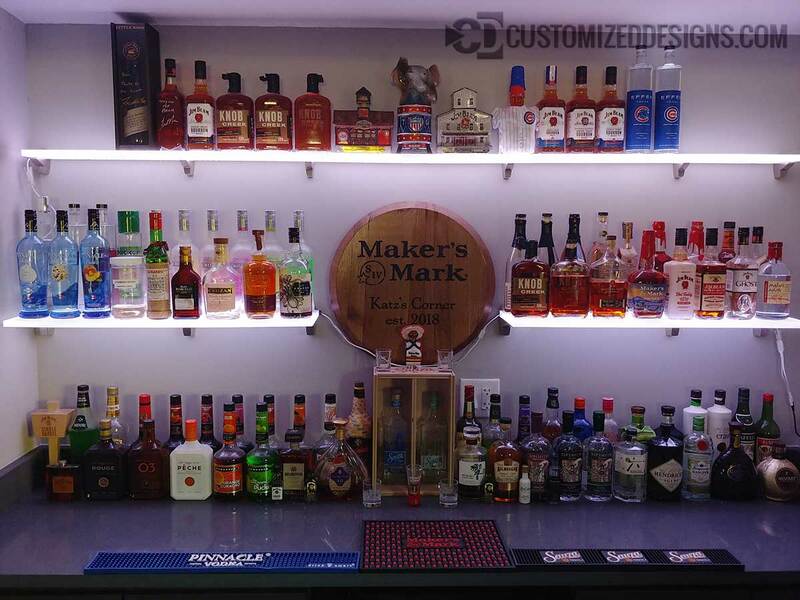 Customer photo showing off their huge home bar’s liquor selection with our led shelving. This picture also shows off how you can strategically hide the wires to the shelves without cutting into your walls and fishing cables. Personally I would have put the wires behind the Makers Mark sign but that’s just me! In his defense, I think he was just making sure everything was in order before hiding the wires. Still looks awesome!